Please click here to view the Gemach Directory. Please note that this list was correct as of December 2013. Click here to watch a video in which Rabbi Yoni Birnbaum of the Hadley Wood US community explains what a Gemach is and what it is used for. The word ‘Gemach’ is an acronym for ‘Gemilut Chesed’, literally translated as ‘an act of bestowing kindness upon others’. A ‘Gemach’ is a generic term referring to any fund or resource set-up by people for the benefit of others. It may, for instance, allow them to borrow money or a specific item that they require, or enable them to benefit from a particular service. The organisers or managers of the Gemach do not use it as a money making enterprise in any way and if a fee is charged, or donation encouraged from those using the service, it will simply be for the purposes of covering costs. You could, therefore, see an advert for a money-lending Gemach – essentially a free-loan society, where money can be borrowed interest-free, subject to appropriate guarantees of repayment. But you could just as easily encounter a Gemach for clothes, medical equipment, baby items, chairs or tables for simchas, building tools or computers. The possibilities are endless! People could be encouraged to think about donating their used wedding dresses to a Gemach, for instance, in order to help benefit others. 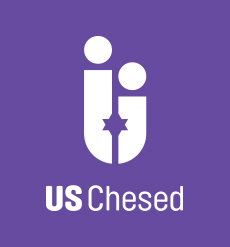 One of the classic works of Jewish literature describing the virtues of a Gemach is called ‘Ahavat Chesed’, written by Rabbi Yisrael Meir Kagan, known as the Chafetz Chaim, in the early twentieth century. He describes how establishing a Gemach is one of the most beautiful ways of performing the Mitzvah of doing kindness, Chesed, to others. It encourages many people to band together in order to benefit as many other people as possible - rather than performing sporadic individual acts of kindness. Great though they are, when we unite together as a community to help others, we can achieve so much more. And, the Chafetz Chaim tells us – even if each individual only contributes a small amount of money to the Gemach – Hashem considers it as if they had personally paid the entire sum – since without his or her individual contribution the recipients would not have received the amount required. This is a truly great endeavour to be part of!